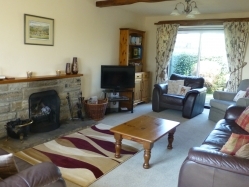 Our Yorkshire Dales self catering holiday cottages offer comfortable accommodation to suit all the family. The holiday cottages have achieved a four-star rating from Visit England for many years and we try to maintain our high standards for your enjoyment. Grassington and Burnsall in Wharfedale are both ideal centres from which to explore the Yorkshire Dales and our self catering holiday cottages provide you with home from home comforts. Our cottages in Burnsall and in Grassington are both situated on The Dales Way which runs from Ilkley in West Yorkshire to Lake Windermere, passing through Wharfedale in the Yorkshire Dales National Park. The route takes the walker over moors, through valleys and near rivers and is the best way to appreciate the beauty of the Yorkshire Dales. We are dedicated to the comfort and happiness of our clients to ensure you have a wonderful break. So if you are looking for luxury self catering holiday cottages in Wharfedale, one of the prettiest dales in the Yorkshire, please continue through our website or contact us. Our prices are all inclusive, including free WiFi so there are no hidden extras. All though we are animal lovers not everyone is, and for this reason we are sorry but dogs and pets are NOT allowed to holiday with their owners. Call us for more information on Cycling holidays in the Yorkshire Dales and Fishing holidays in the Yorkshire Dales. To find out more about the holiday cottages that we have available in Wharfedale, please do not hesitate to contact us. You can give us a call on 01756 752435 or fill in our contact form here.